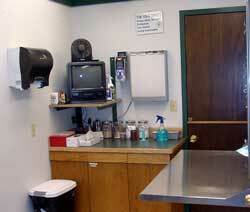 When you first enter the clinic you will be welcomed in our reception area. If you have any questions or need help, one of our receptionists will be happy to assist you. 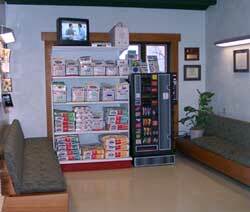 Our waiting area has room to relax with your pet. We have plenty of reading materials, activities for young children and photos of some of our patients for you to look at. 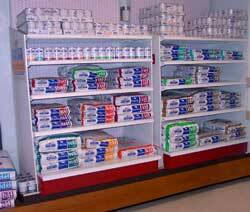 For your convenience we carry a full supply of Hill's Prescription Diets and Royal Canin Diets. 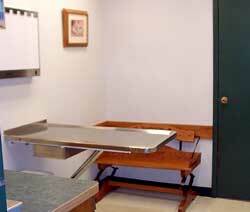 We have two exam rooms where appointments are seen and specific problems can be discussed. 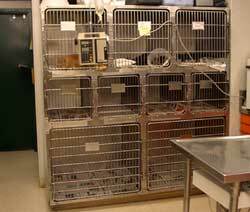 One of the most important places in our clinic is the treatment area. 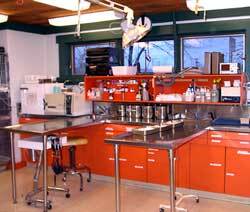 This is where our patients get special care, diagnostics and treatments. 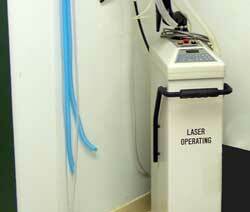 Two treatment stations allow our doctors and technicians to work on multiple patients. 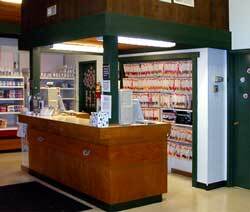 The area is fully equipped to handle every problem we encounter. 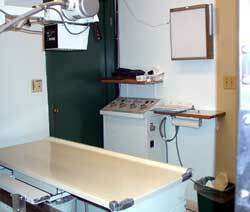 The X-ray area is just off of the main treatment room. 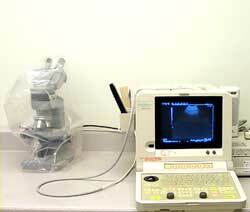 We recently upgraded to digital radiography so X-rays can be taken and interpreted in minutes to help diagnose internal ailments. 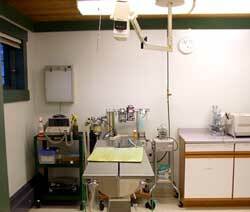 This is where our major sterile surgeries are performed, from routine spays and neuters to exploratory and other advanced surgeries. 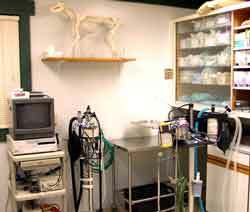 Our surgery room is kept in sterile condition and is equipped with advanced monitoring equipment to give our patients the best possible care. If a patient must stay in the clinic due to illness, needed treatments, or surgical recovery, we offer two medical wards and one special ward for patients that may be considered contagious. Members of our staff closely watch patients throughout their stay to monitor their condition and offer companionship.